On Tuesday, Russian President Vladimir Putin remarked that his country sees the use of military force in Ukraine as a last resort — but defended the right to take action, should Russian-speaking citizens ask for help. Putin's remarks follow an order for Russian troops involved in a military exercises close to the Ukrainian border to return back to their bases. Meanwhile, the White House offered Ukraine an assistance aid package of $1 billion to help the country restore economic and social stability. Appearing at a press conference outside Moscow, Putin called the Eastern European country's new interim government the result of an "anti-constitutional coup." Though he referred to Ukraine's parliament as "partly legitimate," the acting president is not, he addd. While Russian troops taking part of the military exercises were ordered back early Tuesday, thousands still remain in control in the peninsula of Crimea. Putin claimed he's not even considering an attempt to make the Crimea region a part of Russia, and only Crimea's people could determine the future. 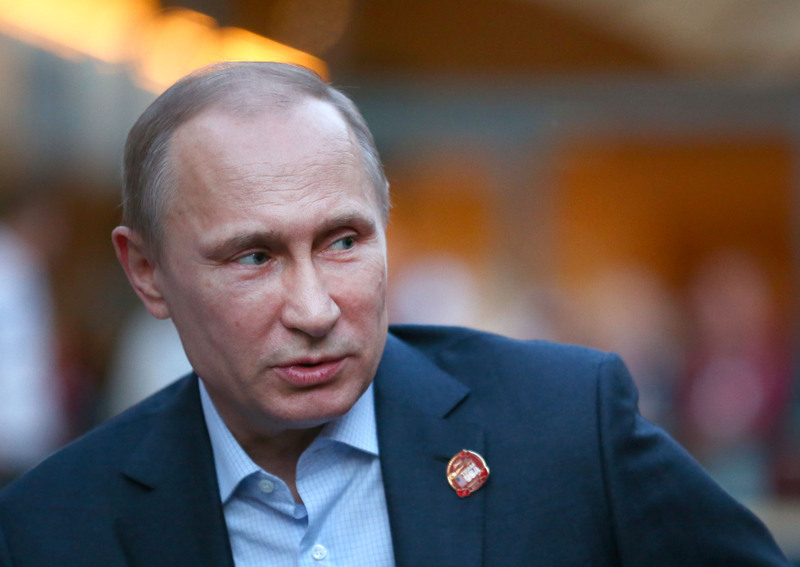 The Russian leader added that sanctions being considered by the West against Moscow would be counter-productive. On Monday, the United States suspended all military ties with Russia as top officials called on the country to "de-escalate the crisis in Ukraine." Regardless, Putin still justified his country's action in Crimea, and explained that if citizens called out for Russia's assistance, the country has the right "to take all measures to protect the rights of those people." He also defended future military action as "completely legitimate," according to CNN, since it would align with Russia's responsibility to protect those with cultural and economic ties to the country. Meanwhile, U.S. Secretary of State John Kerry arrived in Kiev on Tuesday to show support for Ukraine, just as the Obama administration offered $1 billion in energy and economic aid to Ukraine. The loan guarantee would also provide technical experts to help Ukraine's finances; give advice on battling corruption; train monitors for the upcoming election; and supply monetary assistance to counteract the reduction of energy subsidies from Russia. The offer would also help lessen Ukraine's dependence on natural gas imports, and would add to provisions already extended from the International Monetary Fund to help the country's new government.